Kitchenaid appliances are high-quality kitchen equipment that is a great investment for people who love to cook. If you are searching for a cheap Kitchenaid appliance then you came to the right place. We will provide you with tips and tricks that can help you save money on your purchases. Take advantage of the best cheap Kitchenaid UK voucher codes and offers available online. Get as much as 20% savings on selected Kitchenaid items including food processors and mixers. Get them at very reasonable prices. Get it from Very, Argos, Currys PC World, and more. 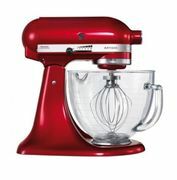 All the best Kitchenaid sale, deals, and special offers you can find in the UK! KitchenAid is a home appliance brand that is famous for manufacturing and marketing quality kitchen appliances. The company is owned by Whirlpool Corporation. The company was originally established in 1919 by Hobart Corporation where they produce standard mixers. During those times, they have encountered many difficulties because of stiff competition. The company changed their stand mixer designs and gave it a modern look. They also improved the features of their products, thus improving their sales and making their kitchen appliances standout from the rest of the competition. They have overcome their struggles and continued to improve their products through modern technology and innovation. As time goes by, they also ventured in making other kitchen appliances such as blenders, dishwashers and food processors. Today they are one of the leading manufacturers and distributors of quality kitchen appliances and equipment in the whole world. 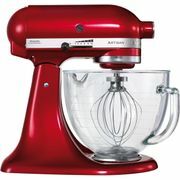 KitchenAid products make every cooking and baking task easy and convenient. Not only that you will save time they make it effortless as well. Their kitchen equipment has gone through quality assurance to ensure that everything functions properly. Invest in a KitchenAid product today and you will not regret it. 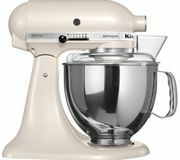 If you’re looking for KitchenAid sale UK, KitchenAid deals or cheap Kitchenaid mixer, you’ve come to the right place. 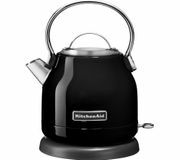 Find the best Kitchenaid mixer sale Black Friday, Kitchenaid kettle sale, Kitchenaid mixer best price, and Kitchenaid accessories here at Latest Deals. Our massive community of bargain hunters are always on the lookout to find the best possible Kitchenaid bargain deals, special offers, and price drops from major UK retailers. You will surely find the Kitchenaid product you are looking for without compromising your budget. Plus, we also have a team of money-saving experts who regularly share essential tips and tricks on how you can save on your instore and online shopping. Most UK retailers have sale events such as seasonal clearance and flash sales where you can save up to 40% off on a wide selection of Kitchenaid kitchen and baking equipment and accessories. They also reduce their prices even further during Black Friday and Boxing Day. To maximise your savings and get additional money off, use the latest Kitchenaid discounts codes we have here. There are also voucher codes where you can get freebies and free shipping on your purchases. Our offers are available for a limited time only, so make sure to take advantage of them right away before they expire. Do not forget to bookmark this page and never miss out on fantastic discounts, amazing savings, and everyday low prices from your favourite online shops in the UK! Hands-Free and Mess-Free. One of the major benefits of using a stand mixer is the convenience that it brings. You do not have to prep the ingredients by hand if you are going to bake. You can mash and mix even the thickest mixtures and ingredients without getting your hands dirty. Versatility. Stand mixers can bake various recipes other than cake and meringues. It is a very versatile kitchen appliance and can make pizza doughs and cupcake batters. It can even whisk eggs and make mashed potatoes. More Power and Control. It has a powerful motor that can do the job faster. You do not have to use your hands and arms to knead the dough. You have total control of what you want the mixer to do. You will never have to worry about mixing your ingredients anymore. Efficiency and Reliability. Stand mixers are built to last a long time. Most mixers are made from highly durable materials. You can definitely rely on the performance and power of a quality mixer for many years to come. KitchenAid KSM1APC Spiralizer Attachment. This accessory is great for peeling, coring, and slicing. You can swap it in and out easily. Use it to peel potatoes, and carrots, among many others. KitchenAid KFE5T Flex Edge Beater. It makes mixing efficient because of the soft rubbery edge scrapes that it has. Just remember not to use this attachment to mix hard ingredients or it can get damaged. KitchenAid KGSSA Stand Mixer Attachment. This accessory is useful for grinding, slicing, and shredding. This is ideal for grinding various kinds of meats for burgers and sausages. KitchenAid KSMPRA 3-Piece Pasta Roller & Cutter Attachment. It is great to be used to make noodles and pasta. You can even make flat sheets for lasagnas. KitchenAid KICA0WH Ice Cream Maker Attachment. Making ice cream at home is easy with this attachment. This attachment consists of a bowl that you can put in the freezer.